FTSE indices refer to indexing tools that help companies manage their investment portfolios. The indexing tools allow companies and analysts to monitor the movement of stock prices over time. The indices are used to report the performance of the sharesStockWhat is a stock? An individual who owns stock in a company is called a shareholder and is eligible to claim part of the company’s residual assets and earnings (should the company ever be dissolved). The terms "stock", "shares", and "equity" are used interchangeably. as they occur in real time; updates are often reflected in a second. Therefore, investors get a transparent and reliable scale to monitor and compare returnsExpected ReturnThe expected return on an investment is the expected value of the probability distribution of possible returns it can provide to investors. The return on the investment is an unknown variable that has different values associated with different probabilities. This guide provides the formula and examples for calculating on their portfolios. FTSE is the acronym for Financial Times and Stock Exchange. Unlike other stock exchange companies, its primary goal is to create a real-time denominator to measure portfolios, that is, calculating stock market indices. The FTSE group, which is commonly known as ‘footsie,’ is a joint venture created by the Financial Times of London and London Stock Exchange (LSE)Stock MarketThe stock market refers to public markets that exist for issuing, buying and selling stocks that trade on a stock exchange or over-the-counter. Stocks, also known as equities, represent fractional ownership in a company in 1984. The FTSE indices comprise blue-chip companiesBlue ChipA blue chip is a stock of a well-established corporation with a reputation for reliability, quality, and financial stability. Blue chip stocks are usually the market leaders in their sectors and have a market capitalization running into billions of dollars. stocks across the United Kingdom that are listed on the London Stock Exchange. In the UK, FTSE 100 index is an indicator of national prosperity as well as a qualifier for UK companies. It represents around 81% of the capitalized market of the LSE. In its entirety, it consists of 100 large UK and international companies. Unfortunately, the index does not reflect the performance of the UK market. Besides, the base values are often affected by the general market’s instability. For instance, when the FTSE group opened in 1984, the opening base level was 1000. In 1990, it rose to a high of 6950. But around 2011, it sunk to the level of 5500. 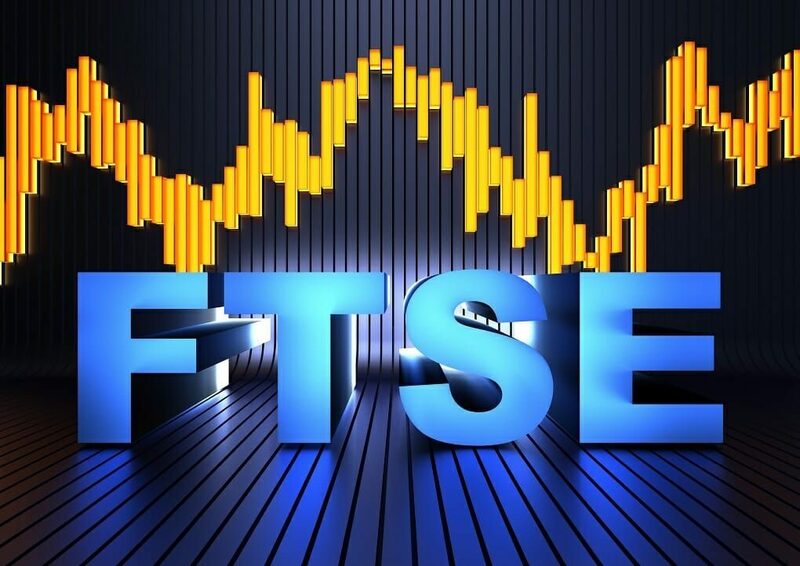 The FTSE 250 index shows the performance of UK economy better than the FTSE 100 index. It represents mid-cap stocks traded on the LSE consisting of the 101st to 350th most substantial, influential, and biggest companies. A large number of the companies in the pool are UK investment trusts that already passed the screening for liquidity and size. The FTSE 350 Index comprises of the largest 350 companies listed by LSE. In this pool, the LSE combines all companies in the FTSE 100 index and FTSE 250 index. In effect, it consists of the largest and mid-cap companies. However, in comparison to the prior two indices, it’s not very popular. Consequently, it attracts lower index values. The FTSE Small Cap Index usually consists of 7,000 eligible securities derived from the FTSE’s flagship Global Equity Index Series. With this large global pool of securities, international and local investors can access a unique pool of at least 4,400 liquid stocks from 47 countries across the world. The FTSE Fledging Index comprises of the minimum viable companies typically listed in the main market of LSE. Companies listed in the pool are only eligible for the FTSE UK series. However, due to their size, they cannot meet the cut required to be part of FTSE All-Share Index. That’s why they don’t need to meet the liquidity requirement constituents. The easiest and the most popular way to invest in FTSE indices is through the broad market index, which comprises low-cost funds. The funds allow investors to buy shares in proportion of a given company in the stock market. One way of participating in the process is through Exchange Traded Funds (ETFs)Exchange Traded Fund (ETF)An Exchange Traded Fund (ETF) is a popular investment vehicle where portfolios can be more flexible and diversified across a broad range of all the available asset classes. Learn about various types of ETFs by reading this guide.. The fund tracker enables investors to track the movements of the indices. Due to the indices’ lower cost compared to active funds, investors can track and choose a specific stock that they think will do well in the market. Also, investors can avoid investing in stocks that will yield barely noticeable returns. However, to be successful in this kind of investment, it is ideal to invest in more than one company, but according to the gains on the indices of these companies. It means that the larger, stronger, and more influential the company, the larger the sum of money that investors will need to invest to earn higher returns. Let’s say Joe wants to invest in the FTSE Index 100. So, he uses ETF for tracking his $2,500 investment. Below is a sample of how the indices weights might look for the 12 top companies. Using the low-cost fund method, Joe will invest 46.27% (46.27% x 2,500 = $1,156.75) of his money in the top companies. Then, 53.73% (53.73% x 2,500 = $ 1,343.25) will be shared with the remaining 88 companies. The mixed active and passive strategy includes diversifying the portfolio into small- and medium-sized companies instead of only large corporations (FTSE 100 index). Instead of using the low-cost tracker strategy, investors may invest equally in all companies. It’s often known as screening, i.e. $2,500/100 = $25 per company regardless of their weights. It involves investing in other portfolios aside from the FTSE indices. The portfolios may include the MSCI UK Index Fund, STOXX Europe 100 ADR Index Fund and others. The FTSE indices help companies track their investment portfolio. It comprises the largest capitalized companies in the United Kingdom that are listed on the London Stock Exchange (LSE). Whereas, FTSE group is a joint venture formed in 1984 between the Financial Times of London and the London Stock Exchange. Small Cap StockSmall Cap StockA small cap stock is a stock of a publicly traded company whose market capitalization ranges from $300 million to approximately $2 billion. The classification between small, mid, and large-cap companies is subjective and can vary among brokerages and market analysts.